Today at the gym I did a run/row brick. Once again I have had some lower body aches and pains that made unsure if I could run. Those pains certainly weren’t helped my the 50 tire flips I did at home yesterday for my gym session. On Sunday Cindy and I put in another 20 mile bike ride to Dunkin Donuts, averaging a strong (for us) 18.8 mph. It was the first run/row brick I have done in quite awhile and it felt like it. By the end of the 30 minutes of hard cardio I was sweating up a storm. 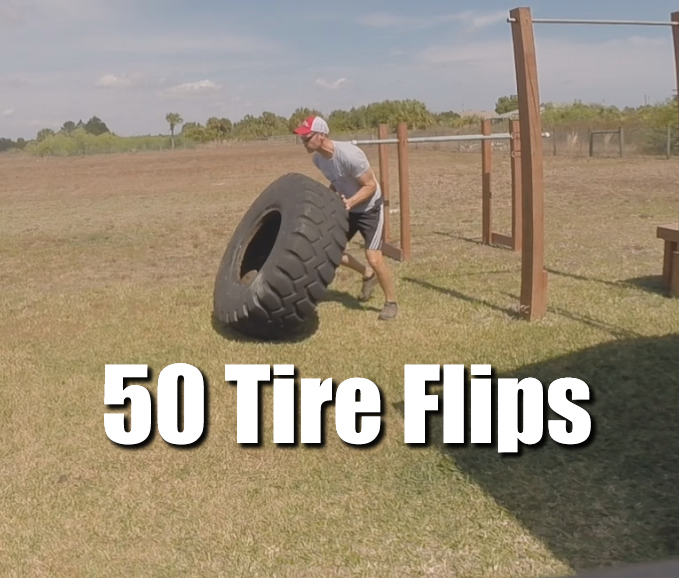 At the bottom of the page I will link the two videos I shot yesterday, one of the tire flipping and another of another 50 reps of my 1000 pull up challenge series.